Alexandria, Va. – April 30, 2012 – A free military-veteran hiring toolkit designed to guide civilian employers in recruiting veterans launched today during the Society for Human Resource Management’s (SHRM) talent management conference being held just outside of Washington, D.C. at the Gaylord National Resort and Convention Center in National Harbor, Maryland. The 32-page toolkit details 10-steps to follow to effectively source, recruit, and retain military veterans, in the civilian workplace. The toolkit describes and defines the military-connected talent-veterans, guard, reservists, spouses, and other supporting family members-that employers should consider when creating recruitment outreach plans. The information guide also includes examples of award-winning, military-hiring initiatives and created by SHRM chapters and state councils (SHRM Pinnacle Award winners) across the U.S.
Additionally, the guide includes descriptions of successful initiatives highlighted in the Employer Support for the Military Community study by the Families and Work Institute. The “Support from Behind the Lines: 10 Steps to Becoming a Military-Ready Employer,” toolkit was prepared for SHRM by Sherrill A. Curtis, SPHR, principal and creative director for Curtis Consulting Group LLC, a human resource consultancy based in East Rutherford, New Jersey. To read SHRM polls and surveys, visit: http://www.shrm.org/surveys. 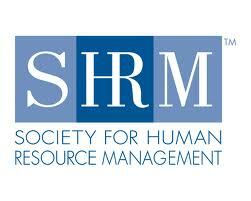 Follow SHRM news on Twitter: @SHRMPress.